In a hurry for something good to eat. All you need is some pasta and tomato sauce and you can whip this dish up in no time flat! 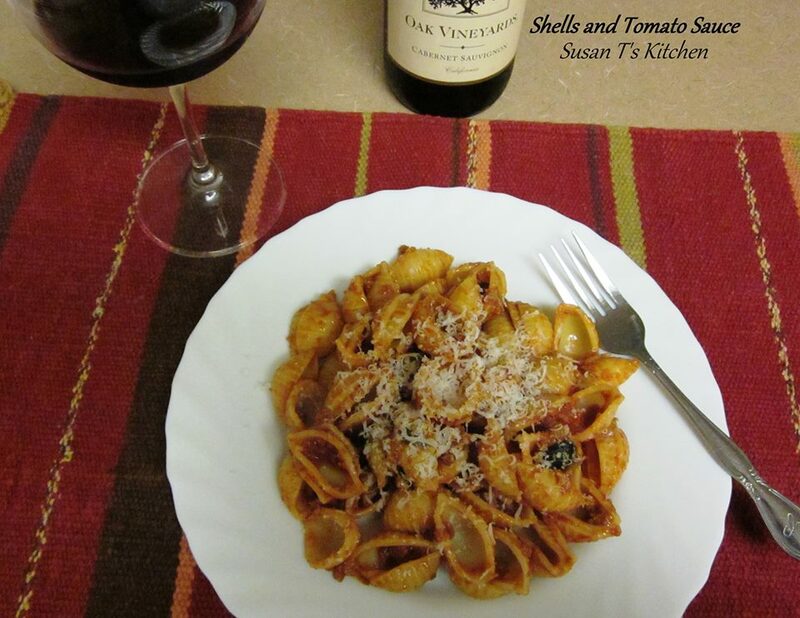 Top with hot tomato sauce, sliced black olives and freshly grated parmesan cheese. Orzo, is a small Italian pasta which is shaped like a grain of barley or rice. 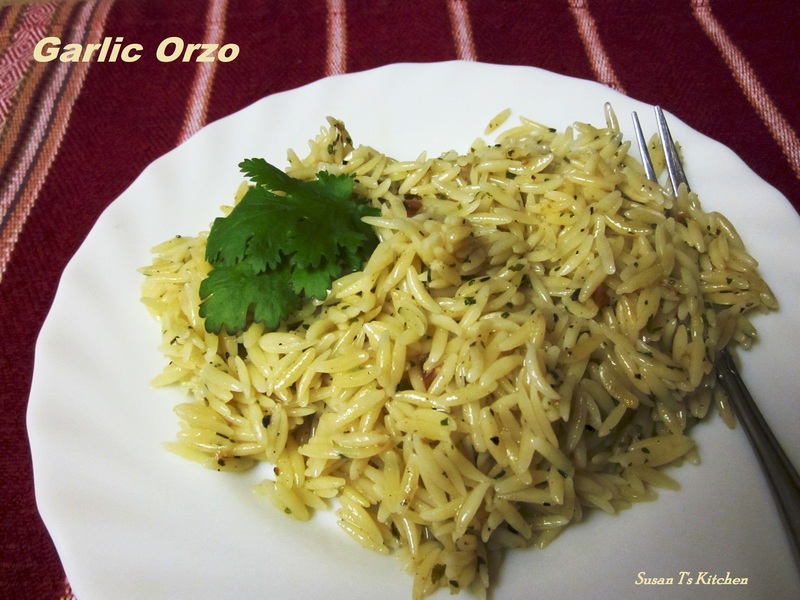 This Orzo dish is prepared using garlic, olive oil and herbs with a hint of lemon. Easy to make and so delicious. Serve with a salad and a glass of red wine! In a non stick pan add 2 tbsp. olive oil, on medium heat sauté the garlic until slightly golden and then lower the heat. Add the remaining olive oil and cumin, mix lightly. Add the cooked Orzo, return the heat to medium and sauté mixing well. Add the Italian herbs, lemon juice, chopped parsley and pepper to taste. sauté for a few more minutes mixing lightly. Turn the heat off and remove the pan from the burner and allow flavors to settle for a few minutes. Mix lightly once more, add more olive oil if needed, garnish and serve. Lasagna is a tradition in our family. 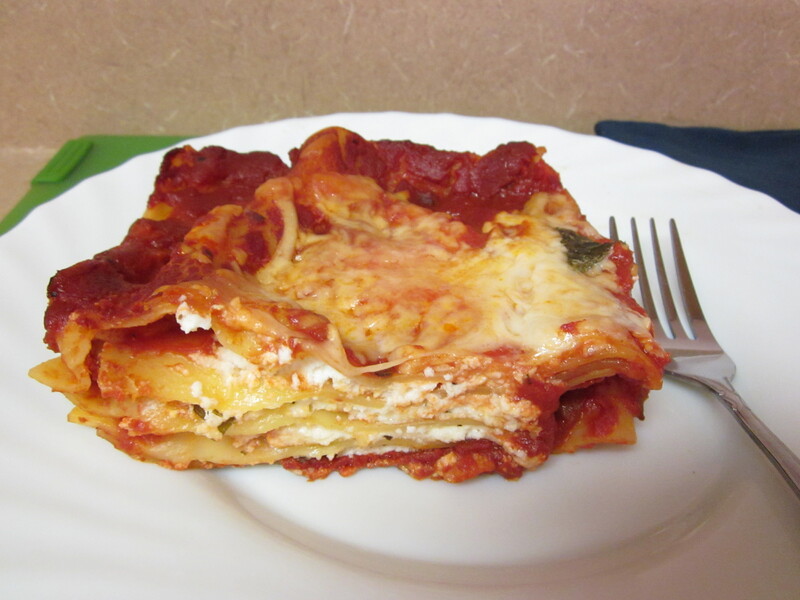 I grew up on my Mother’s Home-made Lasagna which was always a treat. 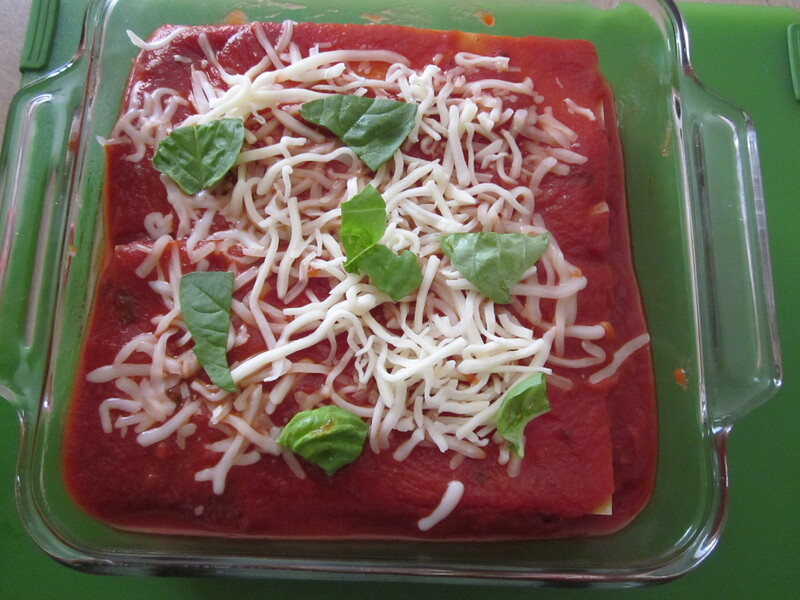 My mother learned how to make Lasagna from my Italian Grandmother and I learned from my mother. I was always in her kitchen helping out,and when I think of my mother I make Lasagna, which is my favorite comfort food. My mother was such a great cook and I am my mother, after all! 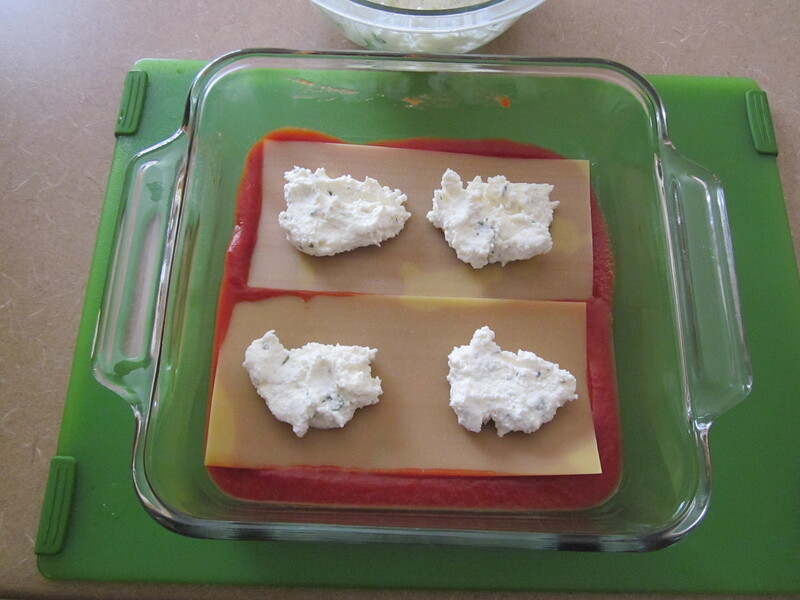 Spread remaining tomato sauce and sprinkle with 1 cup mozzarella cheese, 1/4 cup parmesan and the Basil. 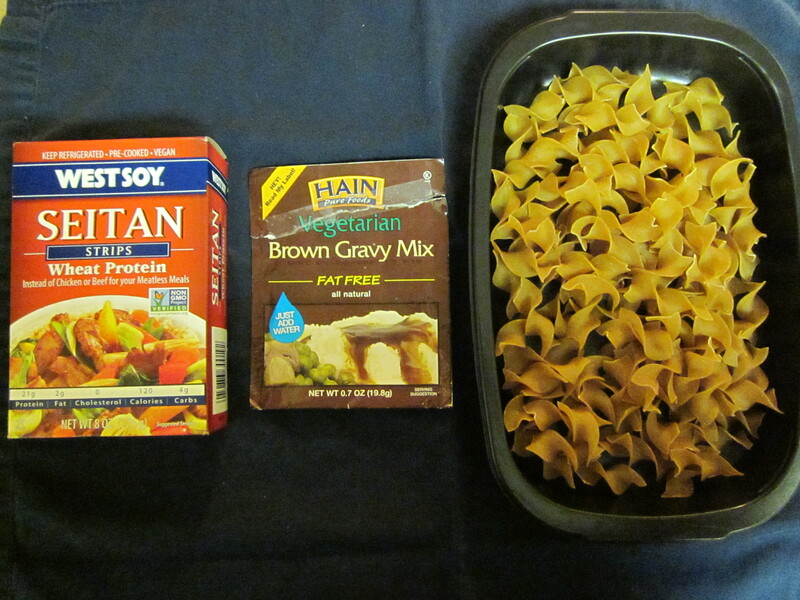 Cover with foil and bake on middle rack in oven until noodles tender and bubbling. approximately 30 to 45 minutes. Remove from oven and let cool 15-20 minutes. Craving some soup? 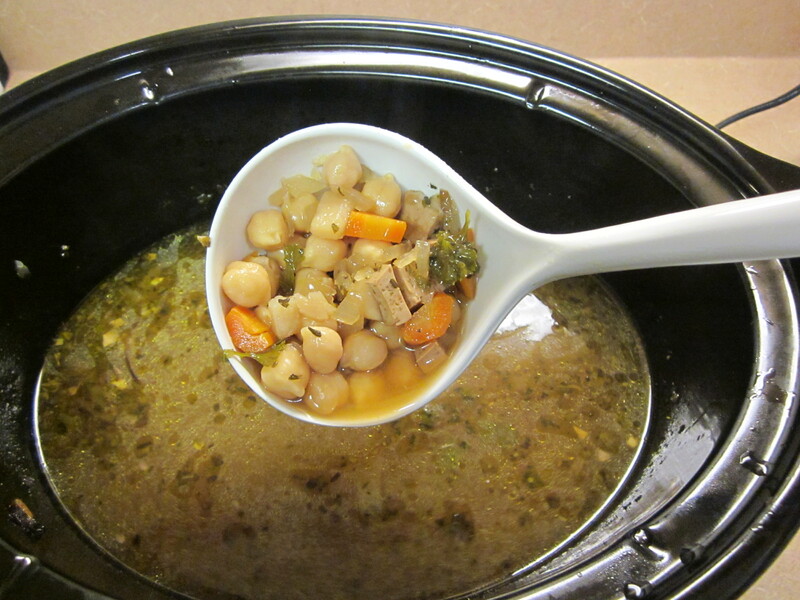 Try my Hearty Chi Chi Bean Soup. Some folks call them Garbanzo Beans and I call em Chi Chi Beans! This soup is full of fiber and protein and did I mention tasty good! Even the kids will love it! 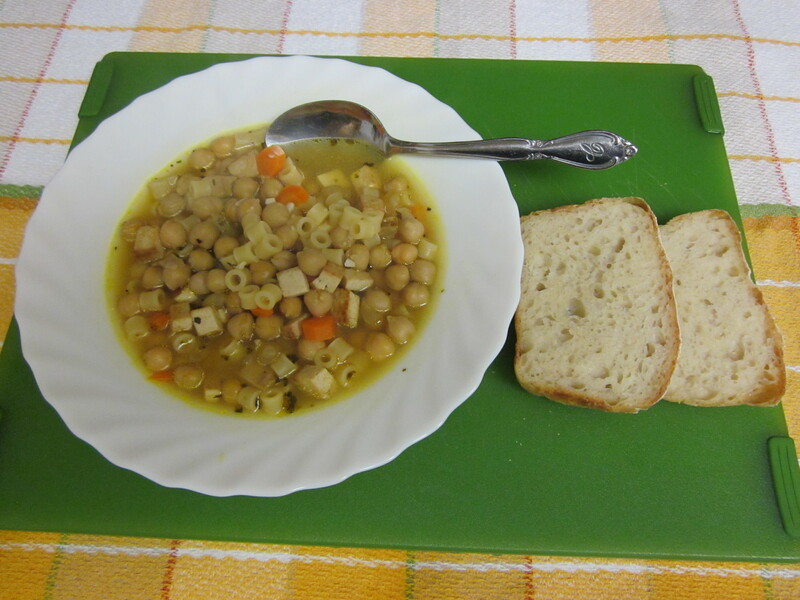 This soup is comfort food for the soul during flu season and cold weather. 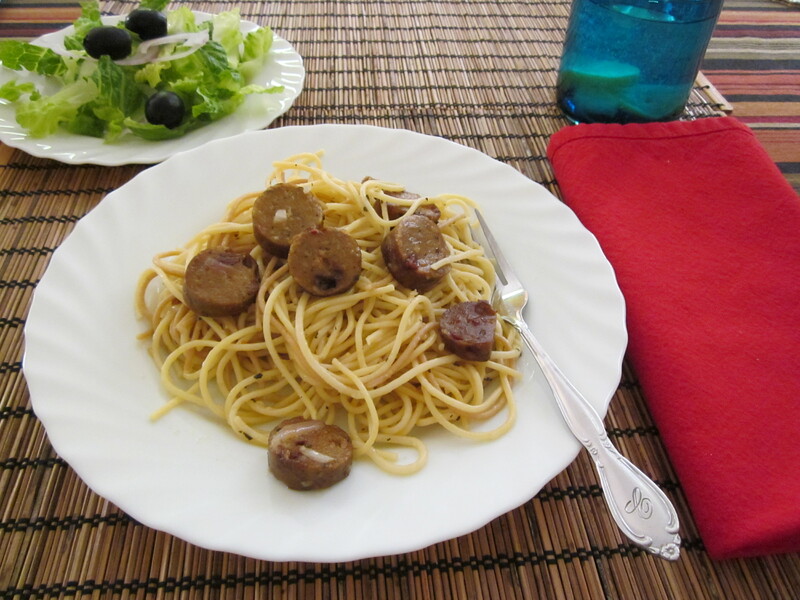 Try some with my home-made bread recipe and a glass of red wine! Enjoy! Have two extra cans or one extra cartoon to add later if needed. 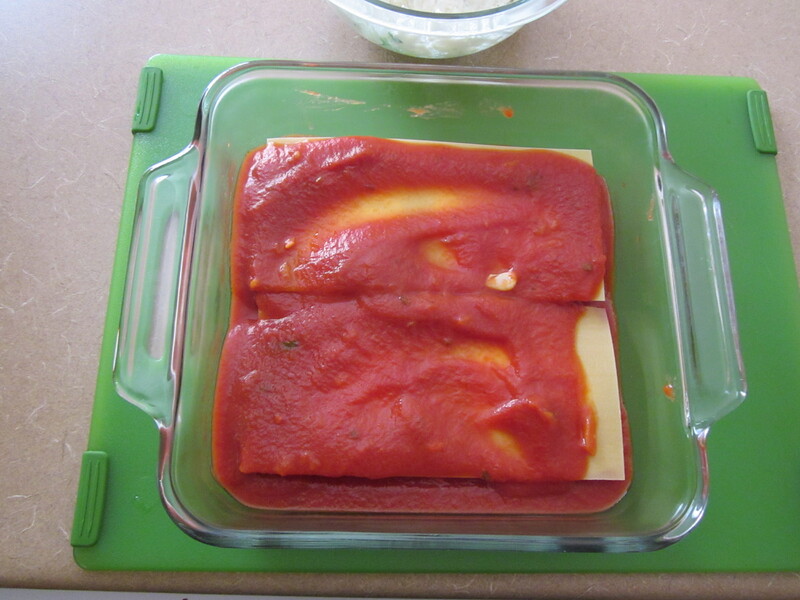 1/2 block of superfirm tofu drained, rinsed and patted dry. Add pasta and cook until tender. Again if needed add more broth. 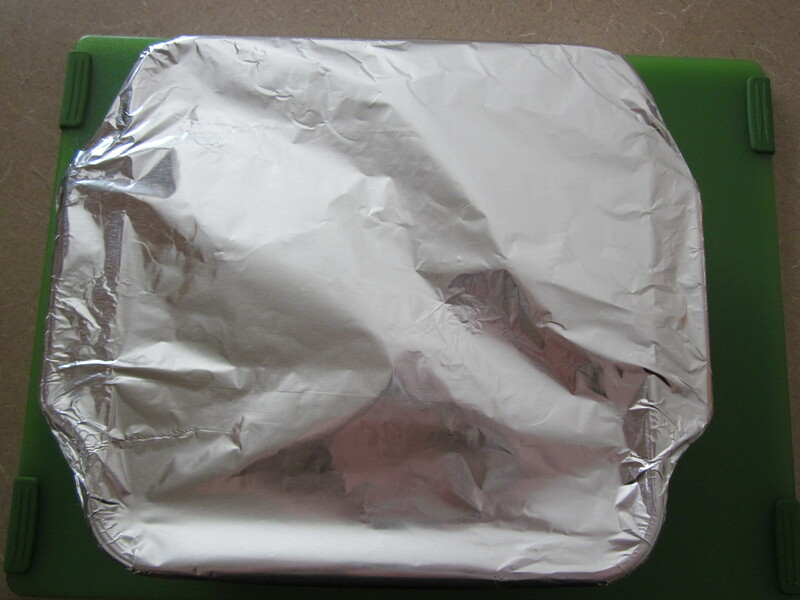 Any leftovers can be refrigerated or frozen. 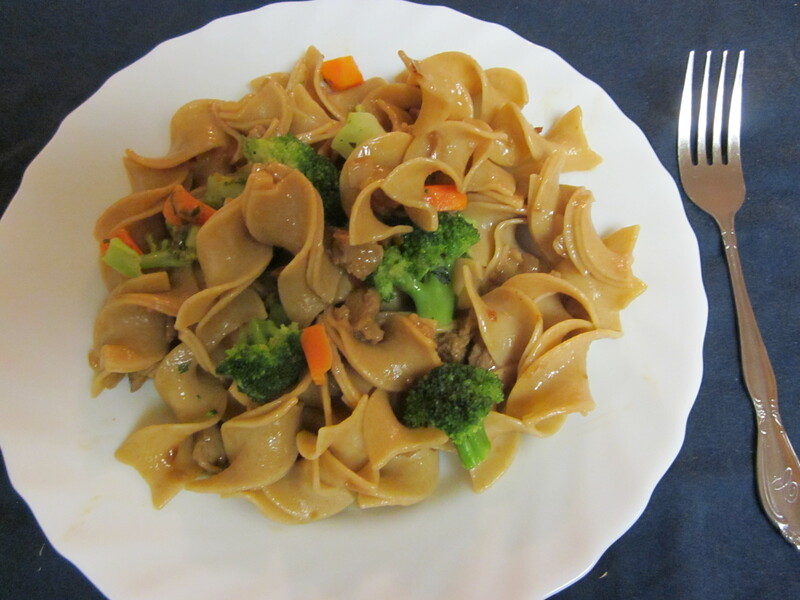 Here is another great pasta dish that was passed on to me by my loving mother, Julia. 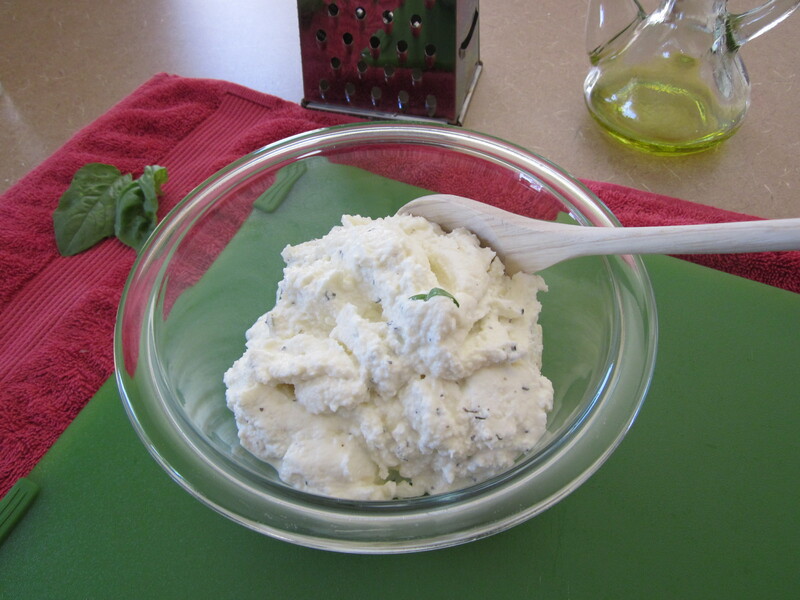 This dish is infused with garlic, fresh basil , olive oil and mixed with black olives than topped with fresh parmesan cheese, salt and pepper to taste. Have a Tomato salad on the side and you have a light and refreshing summer dish. Don’t forget to check out my Facebook Page and Give it a LIKE. Click on the Picture below!